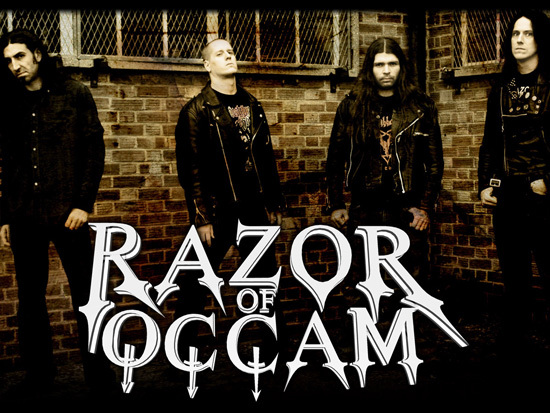 RAZOR OF OCCAM is a black/thrash metal band based in London, England. The lineup includes half of the members from Destroyer 666 and members of Adorior. Originally spawned from the South Australian desert in the late nineties, the music of RAZOR OF OCCAM still emulates the harshness of its birthplace. Never content to follow the mainstream, the lyrics eschew the mystical nonsense typical of the genre and instead highlight the harsh reality of the godless, uncaring and awe-inspiring universe we inhabit. The band has two releases to date. Diabologue (Damnation Records) and Pillars of Creation (Circle of Tyrants) and have recently finished the recordings for their third release, a full-length album titled Homage to Martyrs. The new album is set to be released via Metal Blade Records in spring of 2009! RAZOR OF OCCAM has predominately been a self-reliant act, securing gigs, festivals and tours in the UK, Europe and its homeland. 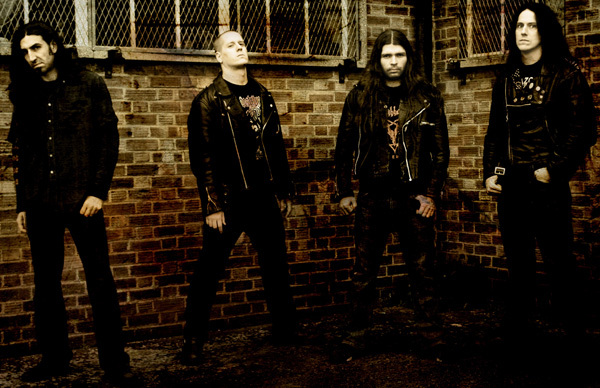 They have played along side renowned acts such as Asphyx, Primordial and Dismember, plus a European tour with Gospel of the Horns and two appearances at the United Metal Maniacs festival. Although the band tends to stray away from publicity, preferring to let the music speak for its self, they have nevertheless acquired a cult following among aficionados of underground metal. 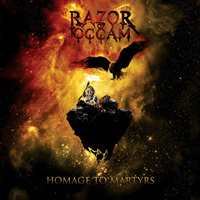 Fans will surely not be disappointed with the new album and with the right support, RAZOR OF OCCAM, will finally claim its rightful place of greatness within the genre. Homage to Martyrs is a tribute to the great men of science who died in the pursuit of knowledge, from the early astronomers who were burned at the stake for daring to displace man from the center of the universe, to the modern theoreticians driven to insanity and suicide by their paradoxical discoveries and the cold denial of their peers. Exalting in the rich legacy bequeathed to us by our predecessors, it also warns of the dire predicament awaiting us should this richness be vainly squandered.